Two artists, two cubes, over two hundred speakers, and twelve doors combine to create Admission, the Rio Gallery’s next exhibition in December. Artists Chris Purdie and Marc Bradley Johnson will be exhibiting two large interactive sculptures next month at Salt Lake City’s Rio Gallery. Purdie’s sculpture is a six-foot cube constructed by stacking over two hundred functioning speakers. Johnson’s sculpture is a seven-foot cube constructed of twelve functioning doors. 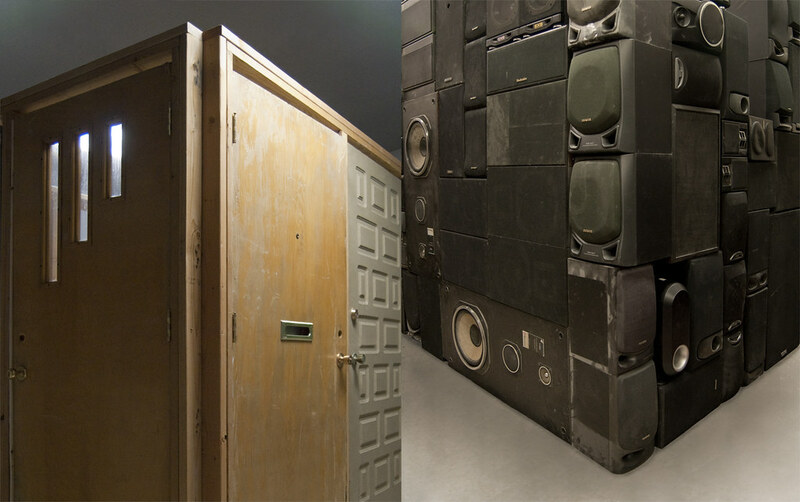 The audience is invited to interact with these sculptures by listening to the speakers and by walking in and out of the doors. 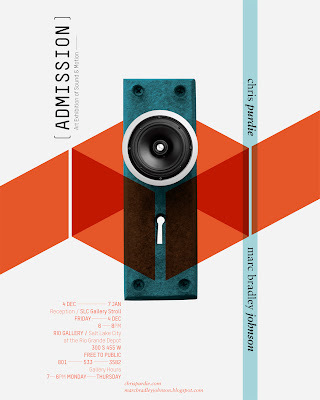 Admission will be on display December 4 - January 7 with an opening reception in conjunction with Salt Lake City’s Gallery Stroll, Friday December 4 from 6-8pm (free to the public). The Rio Gallery is located in the historic Rio Grande Depot 300 S. 455 W. Salt Lake City (gallery hours are 7am-6pm Monday-Thursday). 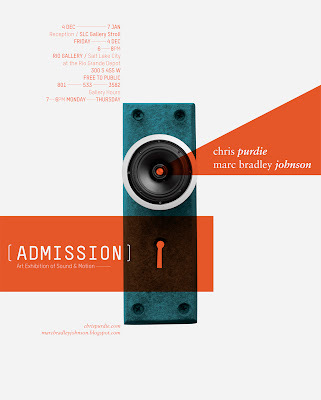 Admission utilizes speakers to represent thought or voice and doors to demonstrate access to possibilities or options. Both sculptures involve the patron in a distinctive manner, presenting not only a visual, but also a multi-sensory experience based on perception and consciousness. Purdie’s black speaker cube is referencing sixties Minimalist artist Tony Smith’s Die. Johnson’s door cube was inspired by the philosophies of Antonio Gramsci. Purdie and Johnson were united for this exhibition through the commonalities of their concepts, mediums, and methods of display. This Speakers Project was funded in part by Brigham Young University's Office of Research and Creative Activities. 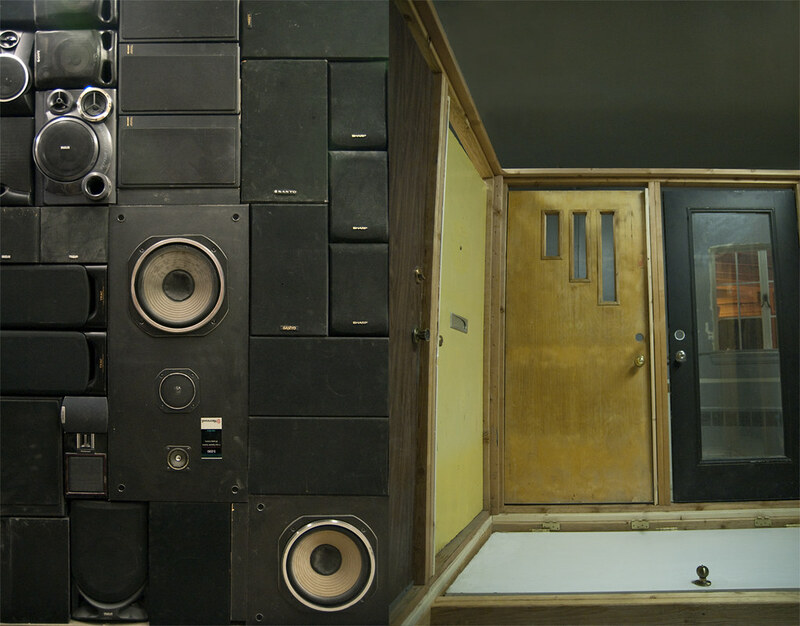 The audio for The Speakers was created in collaboration with the very talented Lance Montgomery. Brian Andelin, Jarime Billings, Krystal Billings, Jared Clark, Lee Cowan, Noah Coleman, Jared Greenleaf, Marc Bradley Johnson, Jamie Purdie, Judy Simmons, and Shane Simmons. Thanks to Laura Durham and the Rio Gallery for this opportunity. 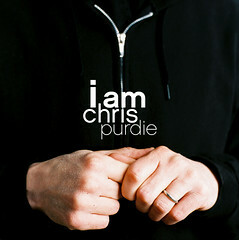 Special thanks to Jamie Purdie for much help and support.